This is more of a comparative impression than a proper tasting note. 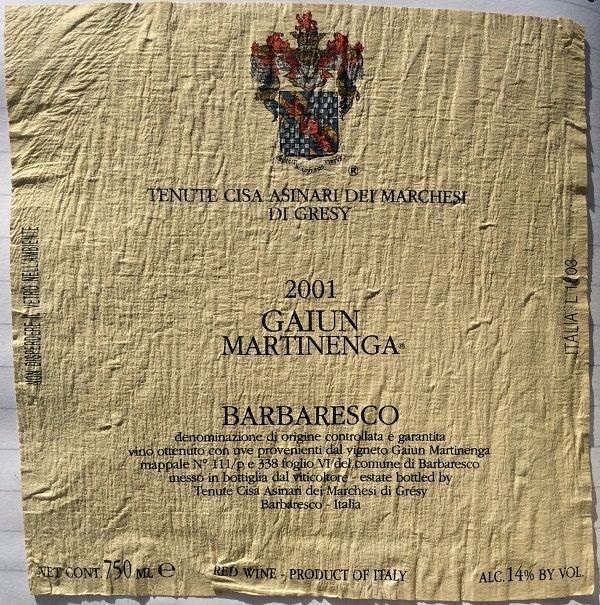 Even though this is a highly regarded Barbaresco vintage, this 2001 Gaiun Martinenga came across as slightly coarser – slightly less elegant than the 1998 I’d had before. That was a true iron fist in a velvet glove, with tannins that were firm, yet smoothly polished and with ‘svelte’ flavours. This was just a touch grainier and with less perfumed fruit. Still good, but not that excellence.